I am happy to announce the availability of two of my books, one in Vietnamese and the other in Sinhala. Buddha Vacana – Daily Readings from the Sacred Literature of Buddhism has been translated by Mr. Nhu Quang in the US. The book is available at this address; NHA XUAT BAN TON GIAO 25 - TRAN DUY HUNG, HANOI. 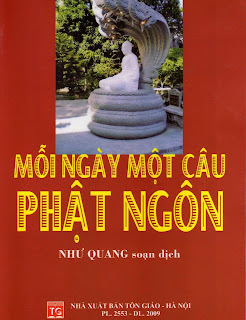 Or you can read it on line at Mỗi ngày một câu Phật ngôn (Ngày 5 & 6 tháng giêng) The other book, Mahakarunikakatha, is a comic book on the life of the Buddha for children. 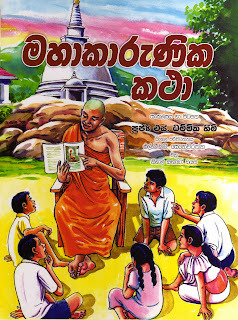 It is only available in Sinhala and can be purchased from the Buddhist Publication Society in Sri Lanka.